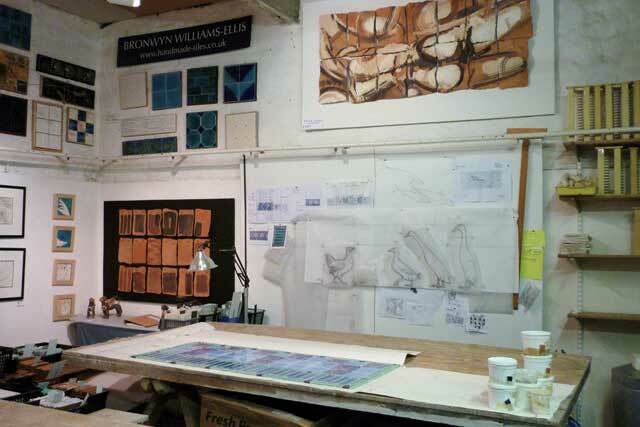 Bronwyn Williams-Ellis’ studio in Old Orchard, central Bath is just off Walcot Street in the historic workshop area of the city that dates back to the Roman period. The studio is her working space and visitors are very welcome. 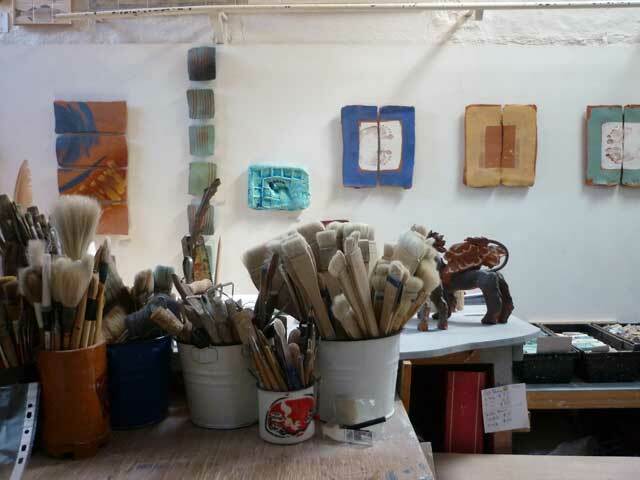 You can see what ceramics she is working on, ceramic sculpture, tile panels, or handmade tiles and enjoy a gallery wall exhibition of her current contemporary ceramic sculpture, examples of hand made tiles and tile panels – all for sale. If you are interested in ordering / commissioning tiles it is valuable to actually see physical examples of the different techniques , styles, glazes and clays Bronwyn uses; examine a variety of samples and discuss the possibilities with her first hand in the studio. Normally:- 10.30am – 4-00pm Monday to Friday barring holidays! These may vary depending on the project Bronwyn is working on! The bus station and train station [Bath Spa] is only a 10 minute walk from the south to the studio, alternatively a short taxi, or bus ride – [number 13 or 7 to YMCA stop in Walcot Street]. Easiest car access is from the North and North East side of Bath [M4, A46 + A36]. Parking on street [1+2 hr. ], or at the Podium car park [4hr] at the bottom of Walcot Street. Day long parking – at Lansdown ‘Park and Ride’ [to North], or Charlotte St. [West centre Bath]. Access. Off Walcot St.-Down Old Orchard alley near Red phone box. 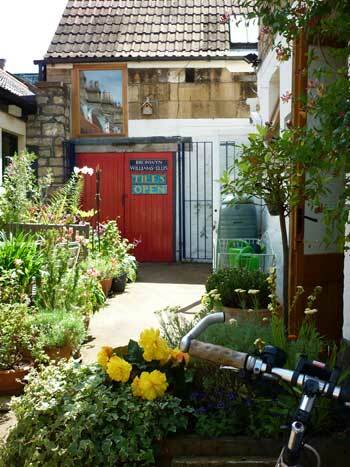 Red gate posts- 2nd double gates on R. End studio- red doors.